What Happened to My Showers? Rather, he flung it at me over the shower curtain, running back out to get Colt some milk. It was a crunchy yellow single-ply rag. Once a vacuum-packed block covered in shrink wrap. Purchased by me, from the dollar store, along with 10 others of various superhero and sport themes. A bribery tactic to get my 3-year-old to bathe. Now these bargain buys are tucked amidst the luxurious Ralph Lauren wash clothes from our wedding registry. The ones I chose because of their high thread count. Woven to boost absorbency and warmth. The sad part is I used it. 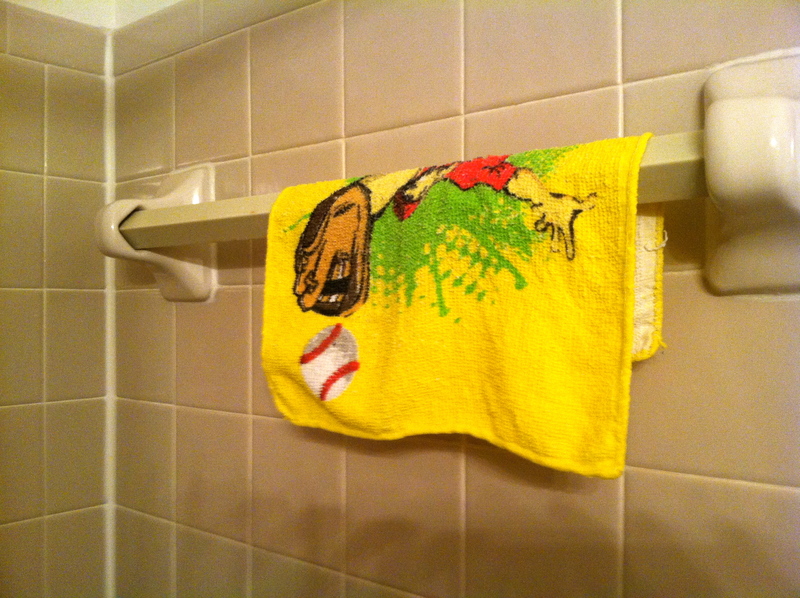 Without a second thought, I lathered up and scrubbed down with a baseball-themed fabric napkin. Then carefully hung it up to dry. So I could use it again tomorrow. They are a vague and distant memory now. I think they used to be like 20 minutes long? And sooooo hot. Because I wasn’t running a load of dishes and a load of laundry at the same time. I used to shave my legs AND wash my hair, and take my sweet time doing it. Now it’s a race against the clock. I furiously shave one leg as Colt bangs on the door. Nicking the sh&t out of the other leg as he MacGyvers it open, and pokes his little head inside the curtain. He stares at my naked body, dumbfounded. Like it’s part of Frankenstein’s Experiment. So different from the way his father used to stare at my body in the shower. 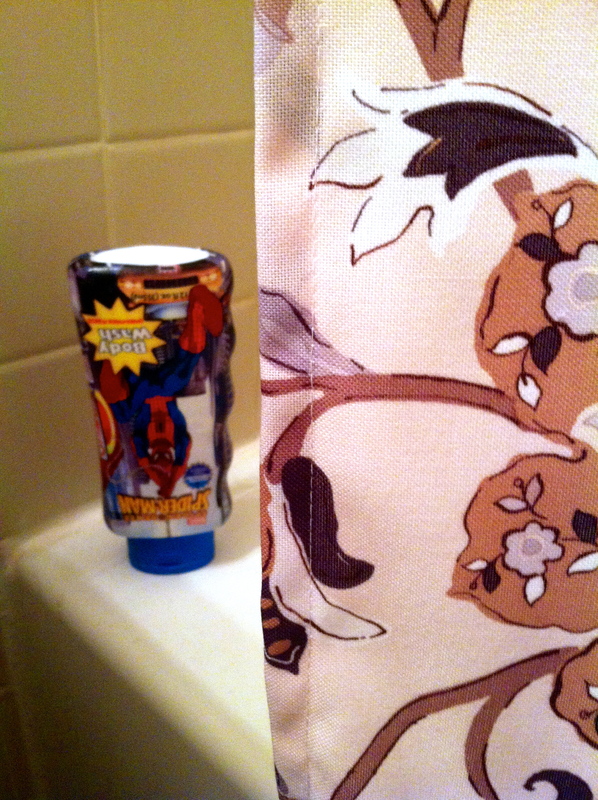 And don’t think I’m above using the Spider Man body wash. I’m not. Luckily it smells like raspberries and has exceptional lather. Not unlike the mango shower gel I used to buy from The Body Shop when I was young and rich and didn’t realize it. When I used to buy body wash AND shave cream. So what that on any given Tuesday, you can lift up my navy Limited slacks and find a dozen Sponge Bob band-aids plastered over razor wounds? And I’m clean, aren’t I? Maybe even happier than I was when I was younger…and smoother. And I smell like a freaking super hero. So I’ll take that yellow rag (which is actually so rough that I can exfoliate with it!) and be glad about it. And I’ll see you outside the curtain. So, yesterday was NOT one of my finer parenting moments but you can relate. Both kids had thrown full bowls of milk and cereal on the floor in protest of me asking them to eat the milk and Cheerios they had demanded. While I am forcing them to pick up the individual soggy Cheerios, that only stick to the freshly mopped floor when I attempt to sweep them up, the almost 3yearold pees in the puddle of milk. I make her wipe up her pee and spilled milk and finish picking up Cheerios. Then I put them both in the bathtub so I can sit in the hallway and cry (and call my own mother.) And whoever said, “no use crying over spilled milk,” is a liar. Crying makes everything better. Thank sweet Jesus for amazon video and caillou at this particular moment. I strapped both back in their clean high chairs, put on a streaming episode and parked my behind in their bathroom and shaved my legs for the first time in God knows how long. My parents arrived a short while later (probably to assess mental and physical well-being of all involved parties after my hysterical phone call) to find us out in the backyard having a picnic. I was a new woman. My dad laughed when I explained that I got an uninterrupted shower/BATH, washed my hair AND shaved my legs! This is unheard of, uncharted territory. Every mother can appreciate that feeling and no man can comprehend it. Hilarious, and I can SO relate. If my mother had a nickel for every time I’ve called her crying (over spilled milk and everything else) she would be a RICH woman. I don’t know how you do it with two kids – I’m not there yet. Not emotionally stable enough for more than one!!! “LAST lent. 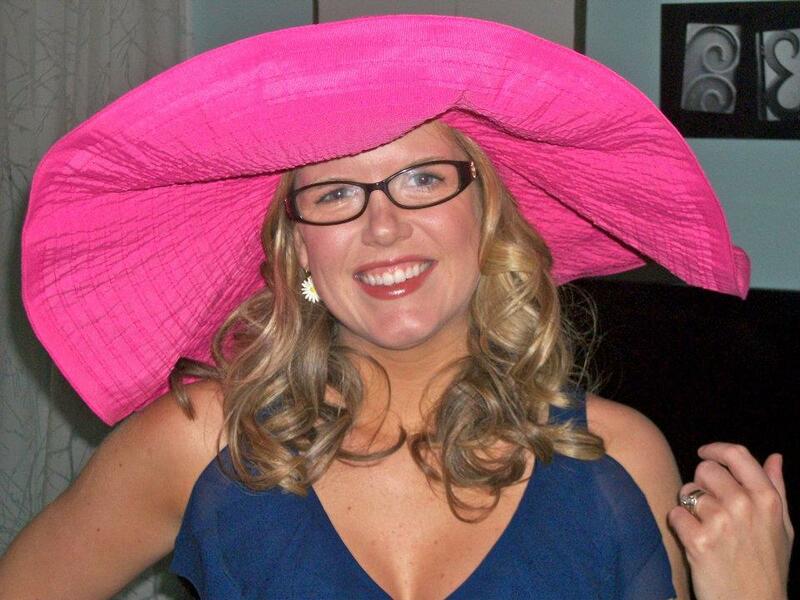 Lent 2013” – HILARIOUS! I was reading your comment at a stop light and I almost peed myself (not so hard to do these days….) Luckily we (or at least I) never wear shorts…cause I don’t want to show off my CHEWBACCA legs!! !